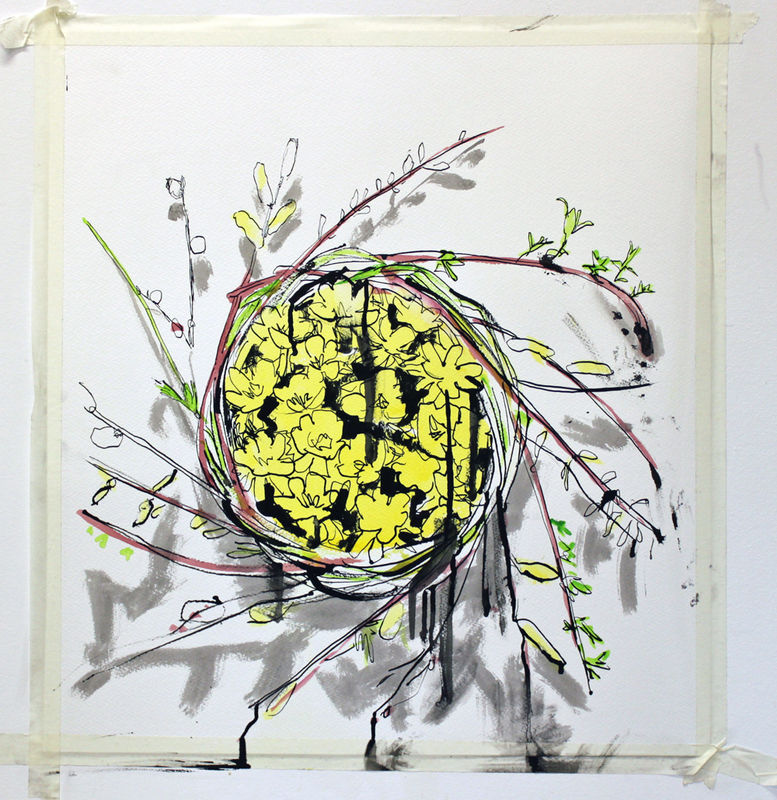 This is my first completed composition exploring the theme of ‘Plants, Medicine and Magic’. It is graphite and watercolour on paper, aprox 50x50cm. 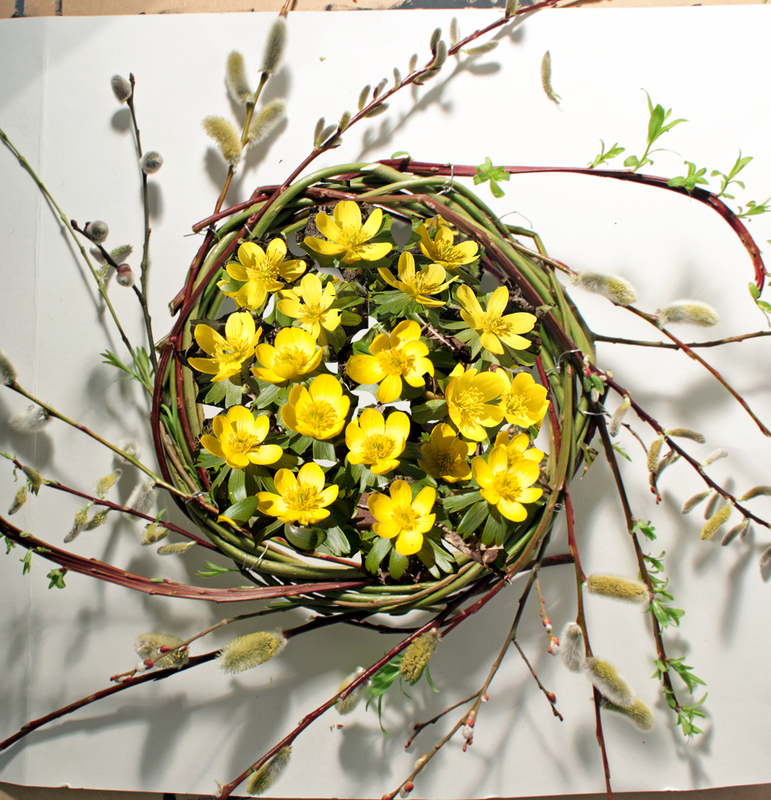 It shows a willow circle filled with Winter Aconite flowers. Willow contains salicylic acid which is the basis of asprin. It also has had a multitude of practical uses, including the original magic wand. 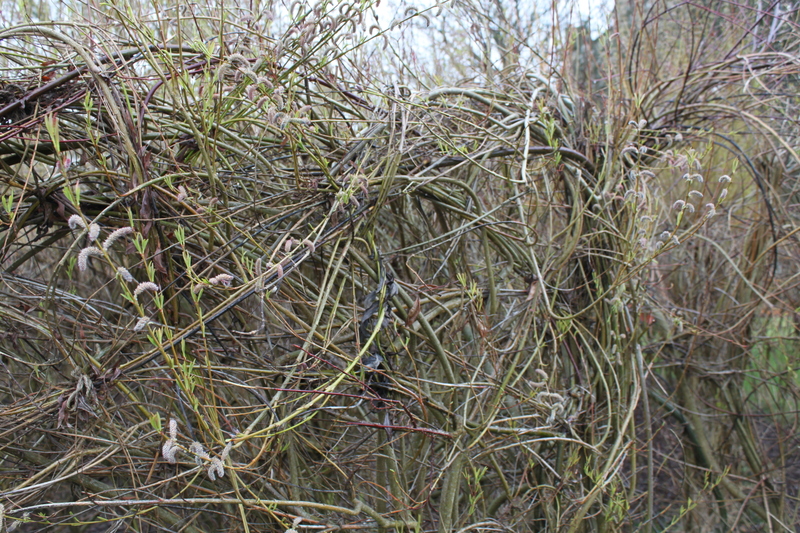 Falkland Palace have a wonderful collection of willows and a willow labyrinth. 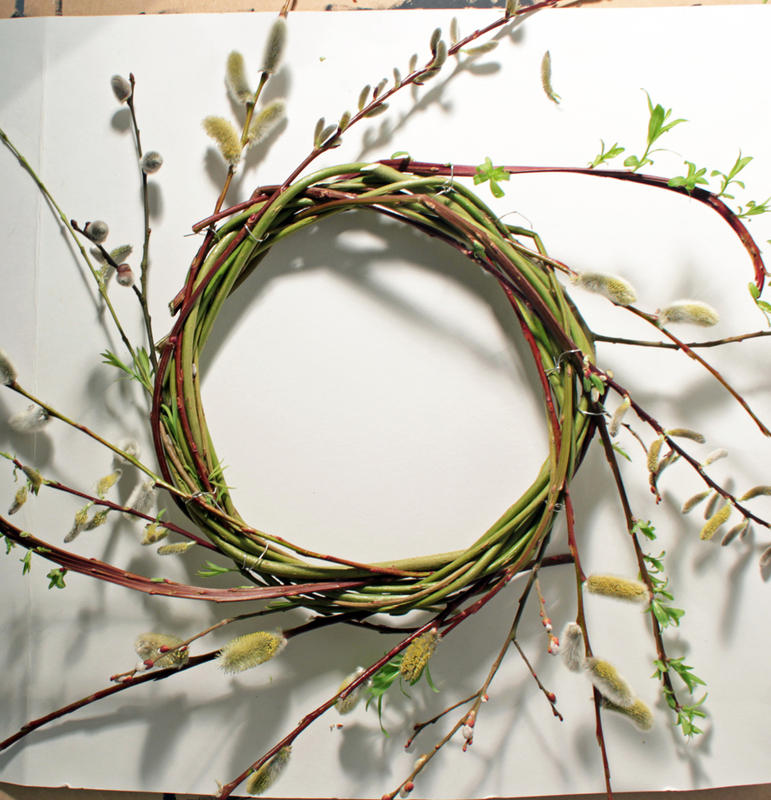 Susan, the Head Gardener, kindly gave me a willow circle and allowed me to gather a bundle of willow sticks. I used them to create my starting point for this composition. I then played with ideas of creating a winter balm, easing pain with ‘asprin’ and lifting spirits with the yellows of Winter Aconite. 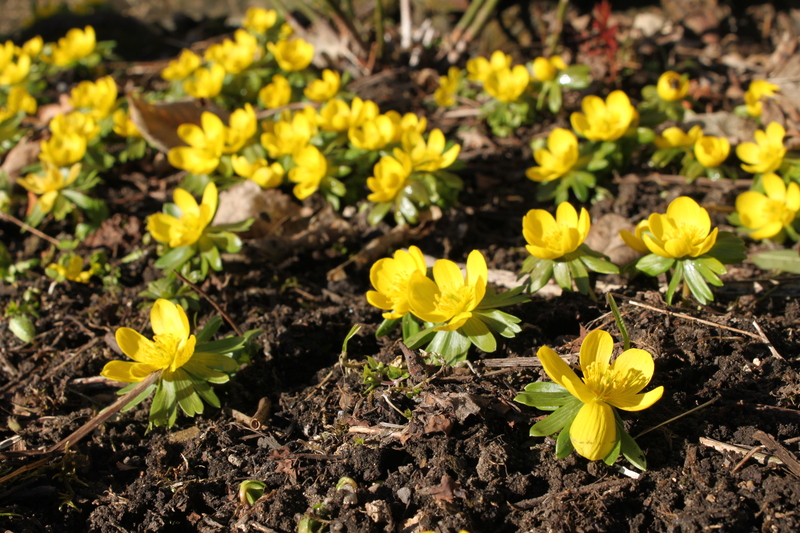 Winter Aconite is very early flowering, not used medicinally as it is mildly poisonous (being part of the buttercup family) but its colour is incredibly resonant. 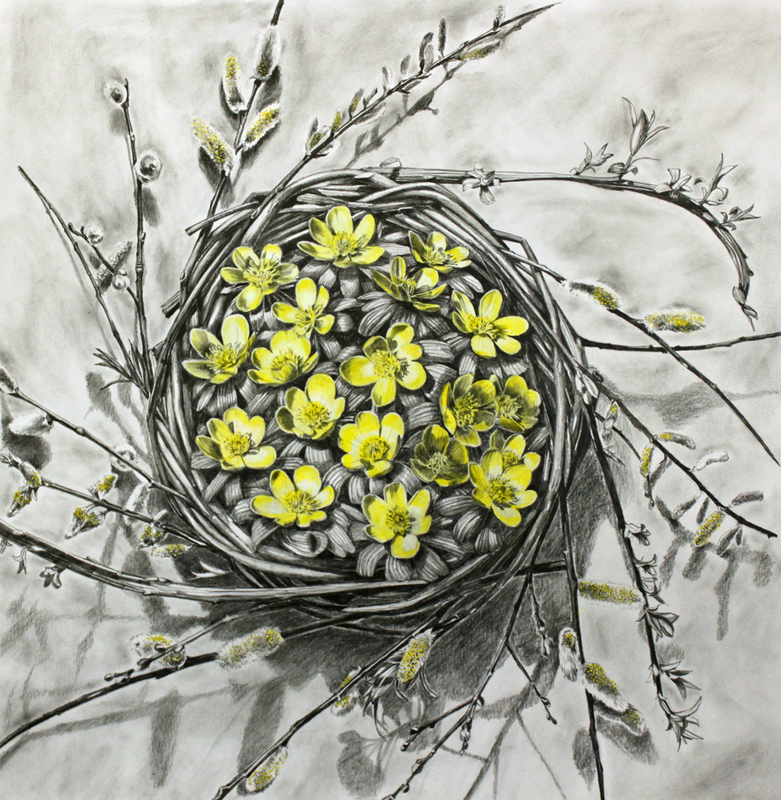 Using photoshop and a multitude of photos of Winter Aconite I created this composition. I then did a quick colour sketch to understand my composition and scale. Then I created the final artwork that you can see at the top of this post.